Transline Moving has years of experience in long distance moving and believe us, unmarked boxes are not any fun to unpack. But there are plenty of approaches to check your stuff. Labeling is far the best organizing system especially when is specified to maximum. This most popular method requires just a marker, preferably black, or any dark to be well noticeable. Professional Long Distance Movers find this method pretty annoying, even so, it works. So, bend yourself in an uncomfortable position to write down the maximum of info on all boxes. Start from marking what room the stuff belongs to. Then what exactly is inside the box. The place for writing is also a dilemma, especially if considering smaller sized boxes. Looking through the list can also be tougher since you’ve got a large amount of things. So, we think inventory and labeling is among those activities best managed electronically. You definitely can use Home Inventory Tools, just download the app. Marking by room (i.e. Family room, Kitchen, Bedroom, etc.) 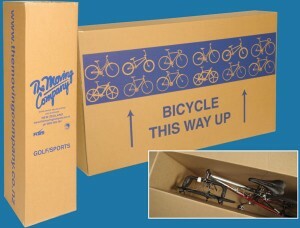 is worthy, as well as labeling boxes with their belongings. Just what most of the people do not think about when moving a box is in fact moving it. Strongly related to moving is next important note you may want to indicate on your box: which side must be up-right and exactly how much the box weighs. If physically moving the boxes, weight and positioning are needed. As an example, you won’t want to place a weighty box over a light one. Marking your boxes with approximate weight like light, medium and heavy, can make each trip to and from the vehicle much easier.